Lindsay Stevenson is the owner and operator of Fort Whyte Physiotherapy. She is certified in Acupuncture, Dry Needling and Intramuscular Stimulation (IMS). Lindsay enjoys taking courses and is a strong advocate for continual learning. 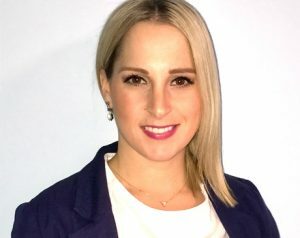 Lindsay's passion for sports and dedication to healthy living inspired her to go into the Physiotherapy Profession. Lindsay has participated in competitive sports and has been an elite athlete since a young age. Lindsay has represented Her province 13 times participating in the Canadian Ringette Nationals. Lindsay also played University Hockey at The University of Winnipeg for one season during her studies. She has also represented her Country 5 times Overseas as a member of the Canadian Women's Bandy Team. Lindsay has participated in numerous sports including provincial premier soccer, Gymnastics, and Tennis just to name a few. She understands the dedication needed to be an elite athlete and the toll it places on ones body. Lindsay spends her free time with her two beautiful children and husband. She enjoys spending time at the cabin in Lake of The Woods, staying active everyday, travelling and spending time with family and friends. Lindsay graduated from the University of Manitoba in 2009. Prior to her Physiotherapy degree she attended The University of Winnipeg and completed a double major in Kinesiology and Psychology. Her career path led her to work for years as a personal trainer in both large and small firms as well as operating and running a successful bootcamp business. She is one of a few Certified IMS practioners in Manitoba. Lindsay is Certified in Acupuncture and Dry Needling and has has taken her advanced Orthopedic levels 1,2 and 3. She has also taken an advanced course in TMJ disorders. Lindsay has taken numerous other course relating to Exercise Prescription and Management of Injuries as well as a Mulligan course. Recently Lindsay has become interested in how the visceral system can affect the mechanical system and has completed VM1 Visceral Manipulation: Abdomen 1 from the Barral Institute.